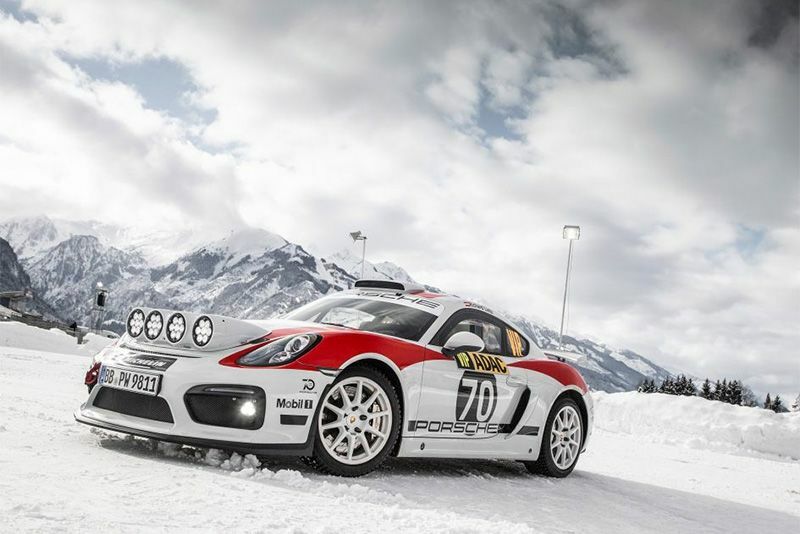 Porsche Motorsport has announced its return to the rally scene with a modified version of the latest 718 Cayman GT4 Clubsport. Last year, Porsche Motorsport revealed a rally prototype of the 718 Cayman GT4 Clubsport which received a great deal of positive feedback. This was all they needed to put the project into production. Based on the new track-only 718 GT4 Clubsport, the Rallye arrives with all the same updates as well as a few extra from the donor car. Plus, it complies with the WRC R-GT regulations, which means it can race in the tarmac-based WRC R-GT championship. Under the bonnet, the Rallye shares the 3.8-litre flat-six engine from the 718 GT4 Clubsport, delivering 39bhp more than its predecessor at 419bhp and includes the toughened PDK transmission. This is good news for the upcoming 718 Cayman GT4 road car. Rally and track cars are inherently different in certain areas though, including aerodynamics, which has been scaled back to make them less susceptible to damage from the environment. Underneath, the Rallye receives reinforcements in the form of steel plating to protect the drivetrain and its more vulnerable components. It's also got a removable LED lamp pod that sits on the bonnet as well as a new roof-mounted intake. Roman Dumas, 2017 Monte Carlo Rally in a 997 GT3 RS to WRC R-GT, and blasted into a new fastest time up Pikes Peak, has been given the task of testing the new rally-spec Porsche. Convenient, then, that he also runs a company that develops its own Porsche rally cars – although they compete in tarmac championships throughout Europe. As much as the WRC R-GT class is still a baby in terms of competition, and being tarmac-only stages, the idea is to get more privateers involved. The class may still be niche but, with the likes of Porsche Motorsport getting involved, chances are that things might change. Let's wait and see. Did You Know That Porsche Has A Top 5 Prototype List?